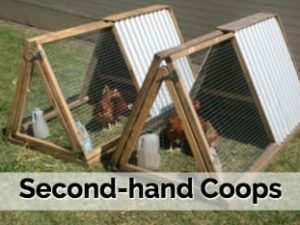 If who want to keep more than 2 hens (the standard Eco-Coop is designed for two hens) you might be interested in an mid size Eco-Coop. 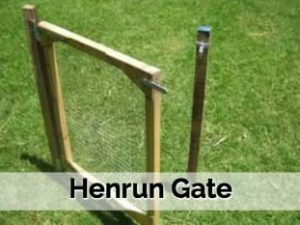 These are made to the same design as the Eco-Coop but are 1.8m long and 1.3m wide/high (quite a bit taller and broader) and are designed to accommodate up to 4 chooks. The Mid Size Eco-Coop includes a feeder and waterer, some straw and food to get you started. This package includes 2 chooks, for other options please select from the menu above. When deciding how many chooks to purchase, consider that a chook lays most eggs in its first three laying years (from 6 months old to 4 years old approx) and then the egg laying declines after that. 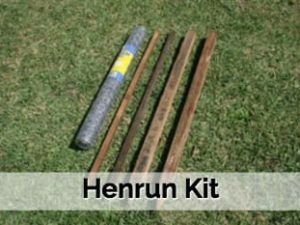 If you buy the maximum number of chooks a coop will hold initially, then you won’t be able to expand your flock at a later date to maintain your egg supply (boom and bust). For this reason we suggest that you start with 2 or 3 chooks and then you will have space to add more chooks in a few years time. I call this keeping a rolling flock. 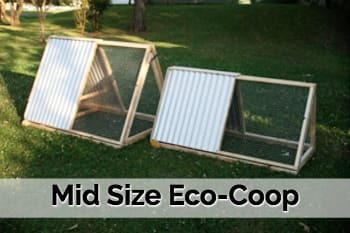 The Mid Size Eco-Coop is pictured here next to a Standard Eco-Coop. Why is it called the Eco-Coop? See Being Green for more information about how our coops are sustainably made.